* Pre-orders will process immediately and ship on or before June 7, 2019. GRAMMY® winner and global music icon Gloria Gaynor partnered with GRAMMY®-winning producer Chris Stevens (TobyMac, Mandisa) to create a roots gospel collection that relies on Gaynor’s songwriting, a couple of hymns and a stunning interpretation of Dylan’s “Man of Peace.” Special guests include Yolanda Adams, Jason Crabb, Mike Farris and Bart Millard, as well as a “who’s who” of studio musicians. 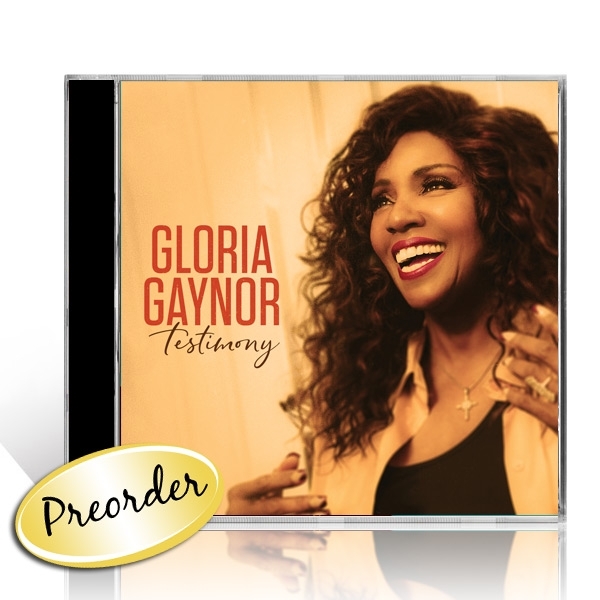 A gospel album has always been part of Gaynor’s musical vision, and Testimony proves to be worth the wait.